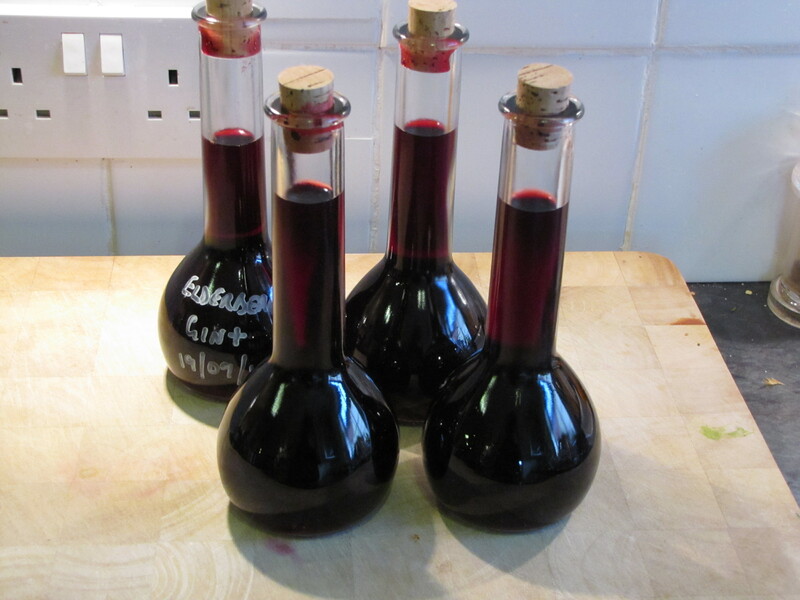 Not long ago I detailed my experimental plan to create a batch of Elderberry Gin. After 5 weeks, the spirit has taken on the colour of an amazing Australian Shiraz, with the distinct elderberry aroma. The berries were strained through layers of muslin and disposed of (the berries that is, not the muslin, however it’s now the most intense purple imaginable, I think it’s life may too be limited), and the remaining liqueur (over 800 ml) bottled up into 200 ml bottles. Like the bottles? Check out the Italian range at my favourite suppliers! Thanks for the update. I’m going to make up a batch soon using frozen berries. Wondering your opinion on the need to microwave since thawing releases a lot of the juice?